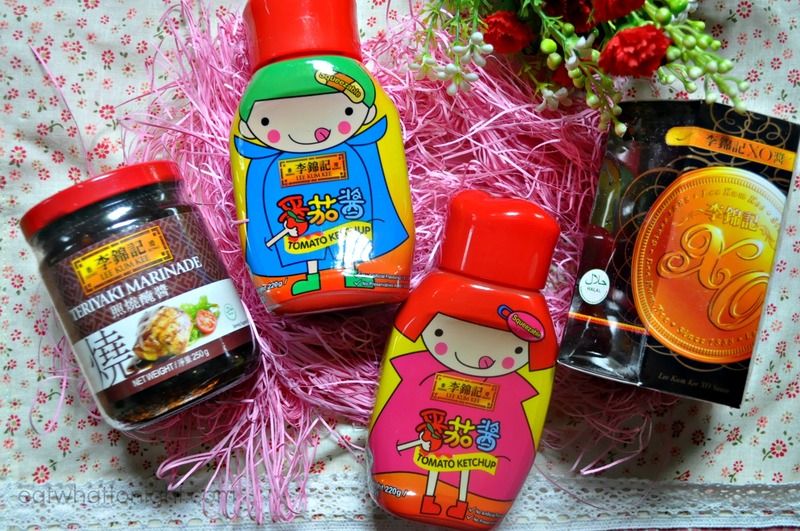 In line with Lee Kum Kee’s launch of their new Teriyaki Marinade and its new packaging for their tomato ketchup, we are here for a GIVEAWAY ! 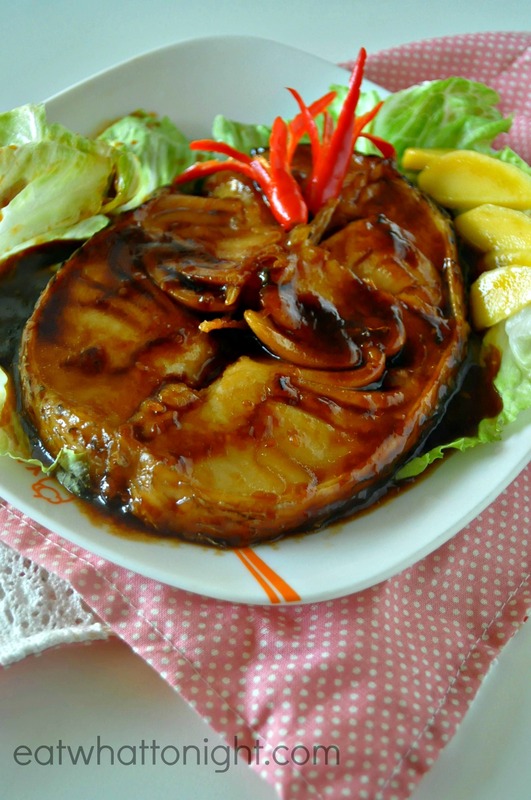 But before we touch on that, let’s take a look at how we incorproate the new Teriyaki Marinade into our daily cooking with the home-cooked Cod Fish steak in Teriyaki Sauce ! And I must say, such dinner fare do measure up to restaurant standard anytime ! 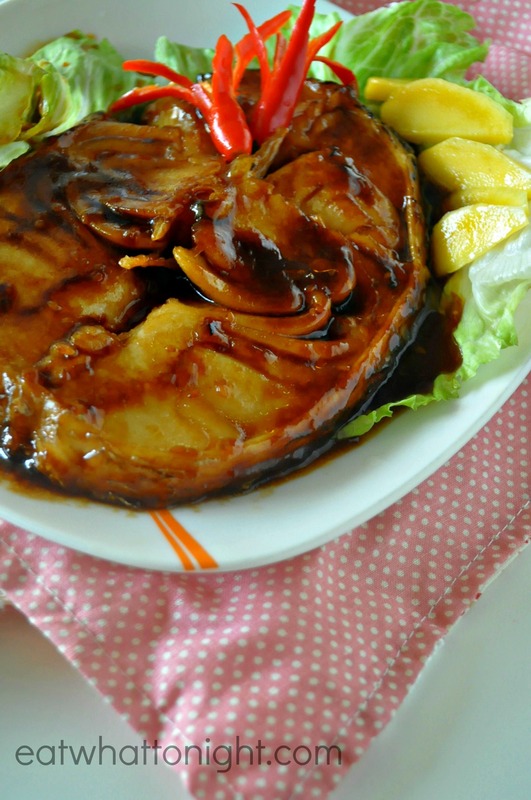 What we did with the Cod Fish is pretty straightforward, pan-fried it till it is almost done before coating it with a dollop of Lee Kum Kee’s Teriyaki Marinade and allow the sauce to simmer for awhile till it bubbles and you are good to go. And that’s all, no other special ingredients or condiments needed and everything took less than half an hour ! Seriously, cooking at home will be such an easy feat that any kitchen noob can cook up a storm anytime now. As the teriyaki marinade from Lee Kum Kee is just so rich and savory, you probably don’t even need to do any marination prior to that. Furthermore, the marinade contains a generous serving of white toasted sesame seeds that not only served to add fragrance to the dish but also blends well in all kinds of meat to enliven up the flavour. 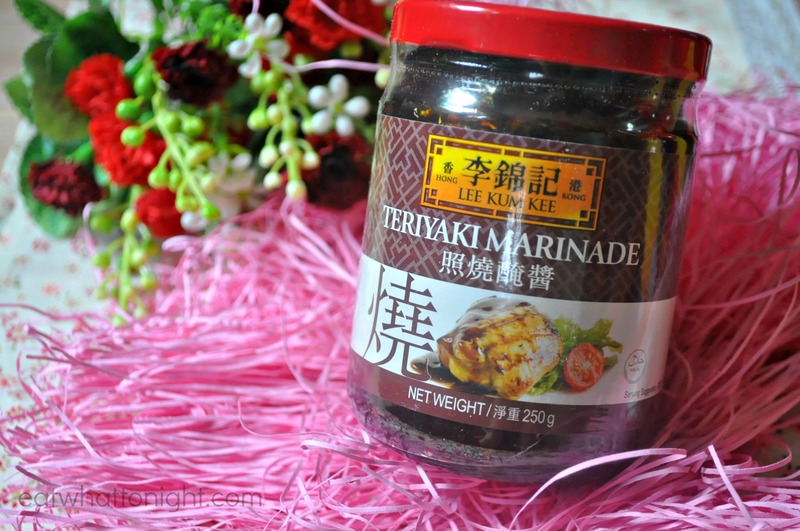 What we so loved about this Teriyaki Marinade is that the consistency of it is very thick, almost in a paste form, unlike the “watery and diluted” kinds where the quality of the sauce has been compromised. What’s more, the teriyaki marinade does not contain any additional preservatives and home-makers could use it over and over again with a peace of mind. Whether you are planning it for marinating or basting purposes or even just as a dipping sauce, the marinade allows you to whip up quality cuisine at just a fraction of the price you gonna pay in a full-fledged restaurant. 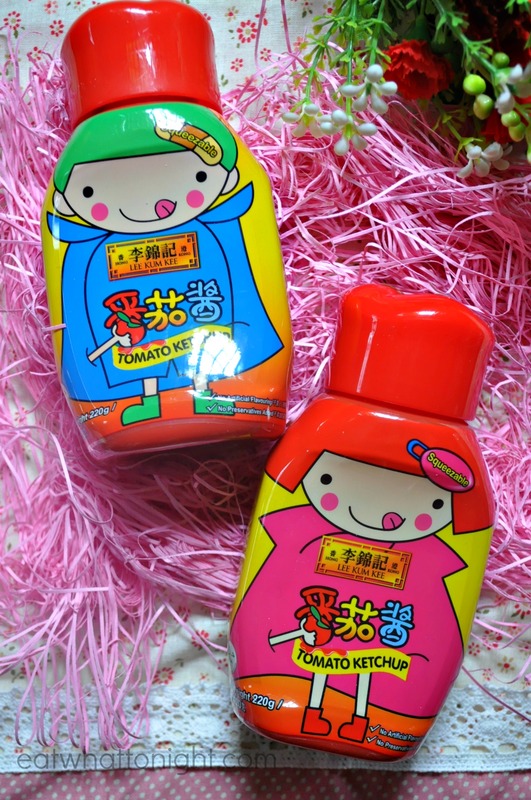 In addition to the Teriyaki Marinade, Kee Kum Kee has also introduced a new packaging for its tomato ketchup. Each bottle comes with an adorable design of either a boy or a girl. 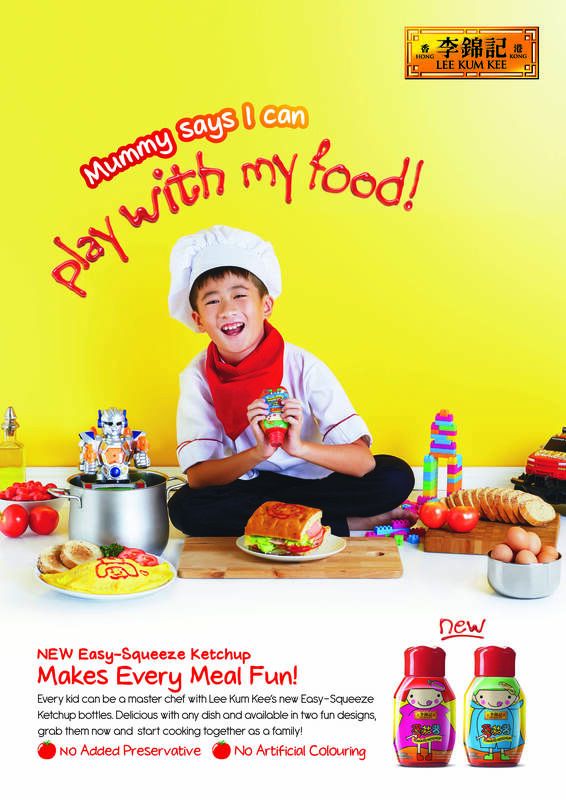 These eye-catching designs that come in easy-squeeze bottles are all out to entice the young chefs to get excited about designing their own meals and it would be real amazing to know how creative these little ones can get at times. Likewise with the teriyaki marinade, the tomato ketchup are made purely with red-ripe tomatoes and does not contain any preservatives or artificial coloring, thus making them perfectly safe for the little ones’ consumption. And yes, both the teriyaki and tomato sauces are Halal, making it ideal for families of any ethnic races to consume too ! And so, we are finally coming to the real exciting part ~ THE GIVEAWAY …. 3 lucky winners will be randomly picked via a lucky draw to win for themselves a mini hamper that comprises of one bottle of the TERIYAKI MARINADE, ONE SET OF THE TOMATO KETCHUP (both the boy and girl) and ONE BOTTLE OF PREMIUM XO SAUCE, all with compliments from Lee Kum Lee. Step 1 : Like Eat What Tonight’s Facebook Page here ! Step 2 : Liked and Shared this post in your Facebook’s timeline ! Step 3 : Leave a short comment on the FB’s post about what you planned to cook/prepare with either the teriyaki marinade or the tomato sauce or even the premium XO sauce ! Lastly : Sit back, relax and look out for the winners, which will be announcing on EWT Facebook’s Page on 22 July 2014 ! This contest will start today and runs all the way till 2359 on 21 July 2014. All winners will be notified via Facebook and prizes have to be SELF COLLECTED at either Raffles Place MRT or Bedok MRT. Arrangements will be made separately with the winners thereafter.